Join Nathan, Daniel, Amanda, Chelsea and The Intern for the centennial episode of Trailer Park Podcast. We drink in heavy amounts of nostalgia and play clips from a time when we all seemed to be happier people. Jurassic World: Fallen Kingdom headlines episode 100 which is a fitting tribute when considering the veiled threats regarding TPP's demise. Don't worry folks, they are spending over 180 million dollars on marketing and merchandising for this Jurassic branded movie and the dinosaurs aren't going anywhere. 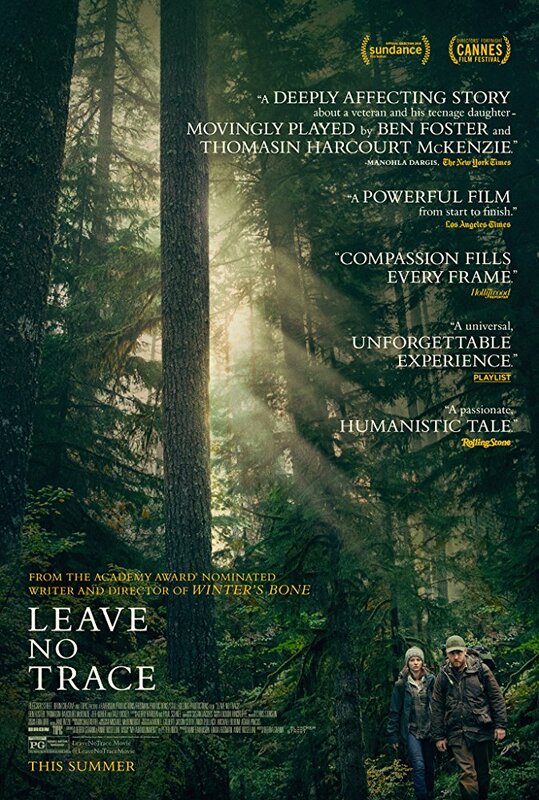 The teeter position is filled with a powerful film containing moving performances called Leave No Trace starring Ben Foster. The music in the trailer combined with the young actress, Thomasin McKenzie, crying to her father about there being something wrong with him should devastate you emotionally if you have a heart. It may also make you question where the mom is. The fulcrum for 100 comes to us from Lars Von Trier, who is known for making some pretty fucked up films, making a movie that follows a serial killer around for 12 years. The totter brings us the latest from A24 who is now on notice and must prove itself again which it might do with Under the Silver Lake starring Andrew Garfield. It's about a character who appears to be unemployed getting stoned and paranoid searching for a girl in the vast and complicated world of conspiracy theory. Sicario 2: Day of the Soldado plops into the five hole. It's written by the same person as the first movie, has Josh Brolin and Benicio Del Toro returning but yet there appears to be some pissy pants hesitation going on even though the action and music are satisfying and credible. Stick around for the round table as we celebrate 100 episodes of TPP.